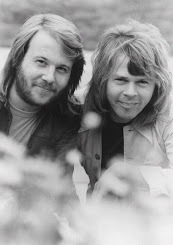 Madame Tussauds' going to make ABBA models! Hooray! 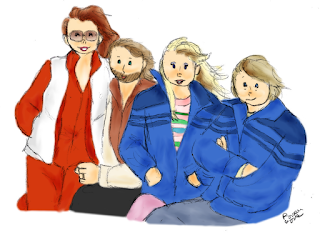 Well, something looks a little strange about Bjorn, Frida's cheeks look funny, Benny looks a little too heavy, and Agnetha's eyes are the wrong shape. (I do a lot of studying on them for my artwork.) Besides, that, they look great, and I can't wait to see them in color!